Russia‘s TASS agency reports on 5 December that today President Vladimir Putin will meet in the Kremlin members of the Russian Presidential Council for Civil Society Development and Human Rights (HRC) and federal and regional ombudsmen. “The meeting participants are planned to tell the head of state about their work in the current year, as well as touch upon most important issues of human rights observance and development of the civil society institutions in regions,” the press service said. Putin regularly meets with human rights defenders, the piece continues and refers to one held on 14 October with members of the Human Rights Council. The main issues on the agenda were assistance to Ukrainian refugees, support of non-profit organizations, transparency of elections, problems of the law enforcement system and others. The article continues (without blushing): “Speaking of supporting the civil society institutions, including human rights defenders, Putin promised that the state spending on this in 2015 would be increased to 4.7 billion rubles ($86.47 million), while in 2013 this figure stood at 2.7 billion rubles ($49.67 million).” The president thanked the Russian human rights activists for the attention they pay to numerous facts of violation of human rights in the neighbouring country — Ukraine. “Many international human rights organizations hypocritically turn a blind eye to the developments,” he said. Many of the proposals voiced by the human rights activists turn into presidential instructions. Thus, on the October meeting results the president has already given a number of instructions on organizing assistance to children affected by the armed conflict in the south-east of Ukraine, on perpetuation of the memory of the victims of political repression, on migration problems, on improving law enforcement activity and a number of others. 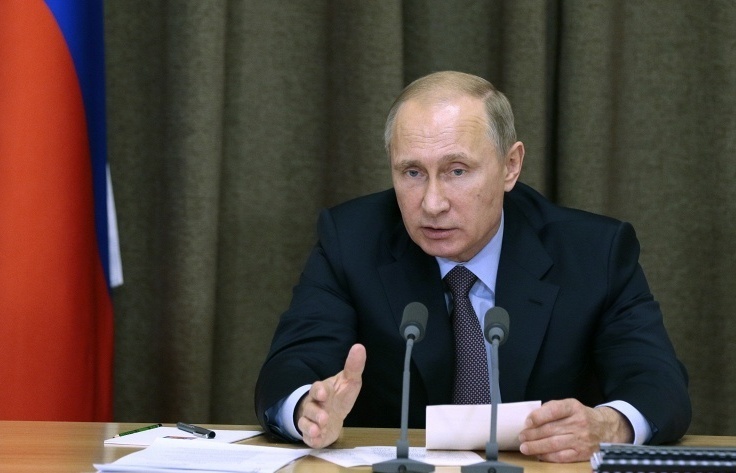 TASS: Russia – Putin to discuss with ombudsmen human rights observance issues. We see the following solid arguments that have pushed us to make this appeal. Firstly, it is continuing policy of Putin’s intervention in the internal affairs of Ukraine that has given rise to the so-called “Ukrainian events”, has led to increased ethnic strife between the fraternal Slavic peoples of Ukraine and escalation of the armed conflict, has resulted in many casualties on both sides of the incomprehensible, artificially stirred up conflict, has led to separatism and threat of the collapse of the independent, sovereign nation. One of these days the Ukrainian people democratically elected their new president. Despite this, the situation in Ukraine causes serious concerns and is far from stability. Putin’s policy of interference and provoking conflicts continues and poses a serious threat to achievement of the peacebuilding process and stabilization of the situation in the country. Western leaders should make it clear to Putin that such interference in the internal affairs of Ukraine is intolerable. They must refuse sitting next to him during the celebrations in Normandy, which is an excellent diplomatic opportunity to express such a stance. Secondly, the major concern is the situation with the civil society in Russia under Putin. Following overall Putin’s “hunt for foreign agents” represented by Russian human rights organizations, the government put the “foreign agent” label on any independent public activity. Russian human rights activists argue that the sign “foreign agent” is offensive for human rights, environmental and social organizations. Their goal is to deliver assistance to people, defend generally valid, legal and democratic principles. This way they serve the country and the peoples of Russia. Human rights activities are not possible without an appeal to the government and the public opinion, without involvement of activists into civic campaigns. The “foreign agent” label in the current social atmosphere of xenophobia and hatred towards the West undermines the very idea of the civilian control because it makes any public activities of non-governmental organizations senseless and first of all their appeals to officials for the sake of interests of individuals and the society. With such a label, work of human rights organizations has no sense, provokes and justifies public hatred towards human rights defenders, and pushes human rights organizations to liquidation or disbandment. How can Putin, the initiator of all-out struggle against “foreign agents” among Russian human rights activists and the oppressor of free activities the of Russian civil society, sit on the podium next to the honorable leaders of democratic countries during the celebrations of the 70th anniversary of the Allied landings in Normandy? It is beyond our understanding. Thirdly, the next reason, which pushed us to make this appeal, is associated with the recent tragic deaths of well-known Russian human rights activist Andrei Mironov and Italian journalist Andrea Roccella in Ukraine during armed conflicts. Italian journalist Andrea Roccella and his translator Andrei Mironov were killed on the night of May 25 in the village of Andreevkaunder Slavyansk. According to preliminary data, their car came under a mortar attack. During the accident, French correspondent William Rogulon was wounded. Although both sides of the conflict, the official Ukrainian armed forces and the separatist armed groups supported by Russia, blame each other for the tragedy, it has been widely discussed in the Internet the version according to which the group of journalists could be attacked by separatists. OSCE has called the death of Roccella and Mironov a terrible reminder of how little is done in the east of Ukraine to protect journalists risking their lives in the conflict zone. This and all other deaths of innocent victims of the Ukrainian conflict require immediate and thorough investigation and punishment of those responsible for casualties. We believe that Russian President Vladimir Putin is personally responsible for what is happening in Ukraine, including the tragic deaths of the Italian journalist and the Russian human rights activist. The solemn events in Normandy is also dedicated to the memory of million victims of World War II, and Putin as one of the main perpetrators of human casualties occurring in Ukraine, is just not worthy to take part in the celebrations in Normandy. Fourthly, it is under Putin’s ruling that numerous cases of kidnapping and illegal extraditions of Uzbek citizens temporarily residing on the territory of Russia occur as well as those who seek asylum from persecution of the Uzbek authorities in third countries, including Uzbek labor migrants, whom the Uzbek authorities want to describe as “religious extremists and terrorists”. It is Putin that allows the Uzbek authorities increase their unauthorized surveillance and monitoring of millions of Uzbek labor migrants working in Russia through their agent intelligence networks. Cases of unauthorized detention and abduction of Uzbek labor migrants in Russia by the Uzbek security services have increased. Sometimes the Uzbek security services work through official channels, make official requests to the Russian authorities, for instance, they make requests for extradition of those, who are suspected of religious extremism in Uzbekistan. The Russian authorities arrest Uzbek labor migrants and extradite them to Uzbekistan, very often even when their complaints are under consideration of the European Court of Human Rights in Strasbourg and/or the Court ordered the Russian authorities not to extradite Uzbek citizens. It is under Putin’s regime that ethnic nationalism is growing in Russia against immigrants or non-indigenous ethnic groups of Russia and numerous fascist and ultranationalist groups conduct their activities with impunity. Every year, these groups murder with impunity and physically maim over a hundred representatives of other ethnic groups residing in Russia. The Russian enforcement agencies do not investigate most of such cases and do not punish those responsible for such crimes. Websites of fascist groups openly promote violence and methods of punishment, torture against “visitors”, and majority of materials of the Russian media are full of discriminatory, one-sided approach to coverage of events related to non-indigenous residents of Russia. Rights of migrant workers from the former Soviet countries are grossly violated in Russia not only by fascist groups, but also by employers, government and administrative bodies and officials. Most of such cases are not investigated and perpetrators remain unpunished. We call Western politicians to refuse sitting next to Putin during the celebrations in Normandy. The U.S.A. President Barack Obama and President of France Francois Hollande will meet with Russian President Vladimir Putin on June 5, 2014 on the eve of the celebrations in Normandy. We call the Presidents of the United States and France to take it seriously and demand that Putin provides clarifications on the above-described human rights violations. Western politicians should pay special attention to the issue of violation of human rights in post-Soviet countries, who are under the influence of Moscow’s policy and the role of Putin’s government in these offenses against citizens of post-Soviet countries, like, for instance, cases of abductions and extraditions. Fiery Hearts Club International Human Rights Organization also intends to organize a protest near the venue of the celebrations to mark the 70th anniversary of the Allied landings in Normandy and in the French capital. We also invite to participate in the planned protest actions those, who will support our appeal. We also call our partners, international organizations, non-profit organizations, ordinary citizens, including citizens of France and other democratic countries of the world, young people in these countries to support our appeal and express their support by signing this appeal. In ForceChange Avram Reisman posts an appeal to be signed asking President Putin of Russia to investigate attacks against human rights defenders. The background is that in early February 2014, human rights defender Igor Sazhin’s apartment was attacked by an unknown assailant. Video from Sazhin’s apartment building shows that the man set the rug outside his family’s apartment ablaze after dousing it with fuel. Despite Sizhan filing a complaint with the police immediately afterward, the police claim the attempted arson was not a crime and refuse to investigate. Sazhin is a founding member of the Komi Human Rights Commission, which has been consistently targeted by the ultra-nationalist group Northern Frontier. In May 2013, Northern Frontier attacked a meeting of the Human Rights Commission. In addition, they have posted the names and addresses of many local human rights defenders, including Sazhin. The open letter asks President Putin to denounce any violent political actions as deplorable; without this official response, human rights defenders across Russia will be in implicitly acceptable targets for ultra-nationalists. Investigate Attacks Against Human Rights Defender – ForceChange. This video accompanies a new 78-page report, “Laws of Attrition: Crackdown on Russia’s Civil Society after Putin’s Return to the Presidency, which describes some of the changes since Putin returned to the presidency in May 2012. The authorities have introduced a series of restrictive laws, begun a nationwide campaign of invasive inspections of nongovernmental organizations, harassed, intimidated, and – in a number of cases – imprisoned political activists, and sought to cast government critics as clandestine enemies. The report analyzes the new laws, including the so-called “foreign agents” law, the treason law, and the assembly law, and documents how they have been used. Many of the new laws and the treatment of civil society violate Russia’s international human rights commitments, Human Rights Watch said.